Botanica is a beautiful botanical garden in Wichita, Kansas. 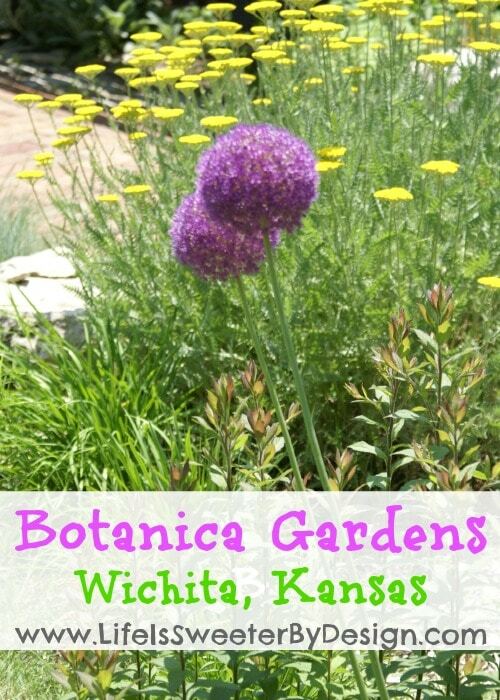 I have lived near Wichita for the vast majority of my life….and had never visited Botanica until recently! It has been on my list of things to do for a LONG time. I am working to live life and stop putting things off so one day last month we took advantage of a cool day and took an unplanned trip to Botanica Gardens! It was me and my 3 girls and my mother (who had also never visited Botanica). We had a great time! I was SHOCKED by how lovely the gardens were and how much there was to see and do! Botanica has 10 different garden areas inside. Each area has its own theme and each area is unique! These are the different areas: Chinese Garden of Friendship, Downing Children's Garden, Beverly R. Blue Teaching Garden, Butterfly Garden, Butterfly/Pansy House, Cissy Wise Wildflower Meadow, Frances Lattner Wildflower Woodland, Frank Smith Woodland Glade, Garden on the Rocks and Gene E Spear Railroad Garden. I don't think there was an area that I didn't take pictures! There were so many lovely plants, flowers and trees to see! We did have some favorites though….I will share those with you now! This was the highlight of Botanica for my two youngest daughters. It was a really fun place and I enjoyed it as an adult! This is a newer addition to Botanica and it is very interactive. I love how they created a place with such imagination that also links educational opportunities into the fun! 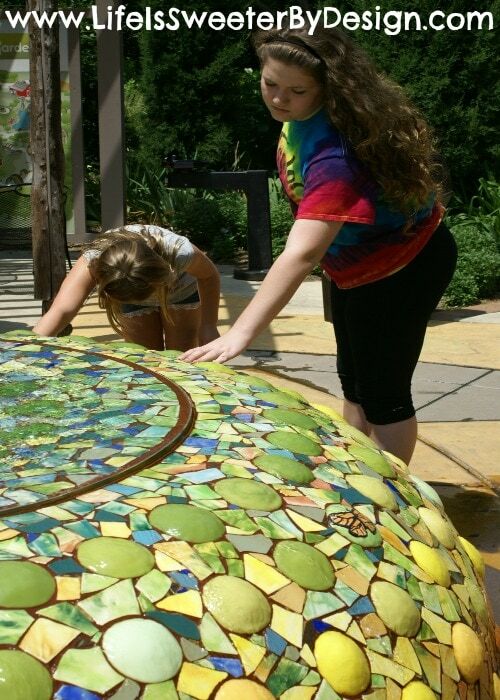 Kids of any age will love playing and exploring in this area of Botanica! There is a wonderful garden area where the kids can pump water into their water cans and then water the plants in the garden! My girls had a blast filling up their cans over and over! The picture above shows just part of a huge stained glass fountain. It was really beautiful and so fun to run your hands into the flowing water orb! 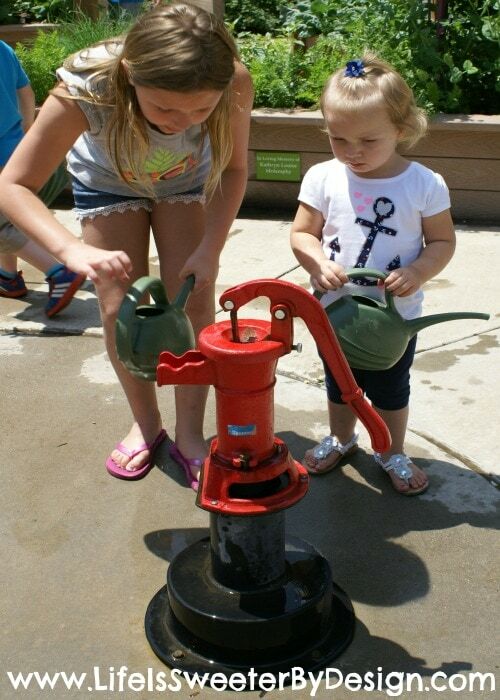 There were so many fun things to do in the children's garden! Huge interactive treehouse, musical maze, storytelling, puppet shows, ponds and more! 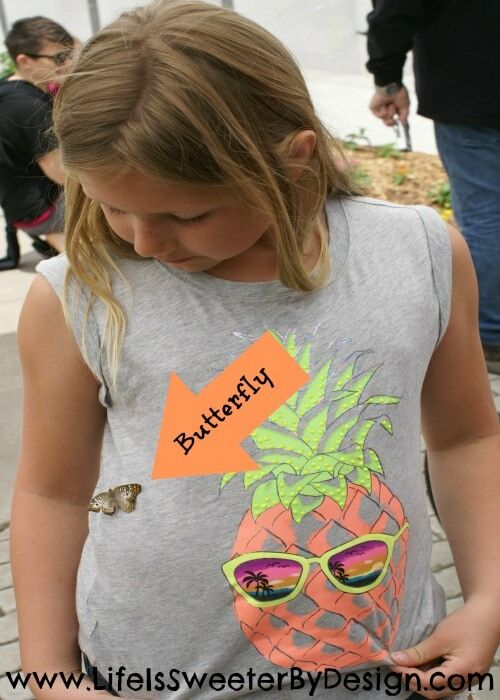 Here is one of my girls with a butterfly on her shirt! She got a real kick out of getting the butterflies to land on her! 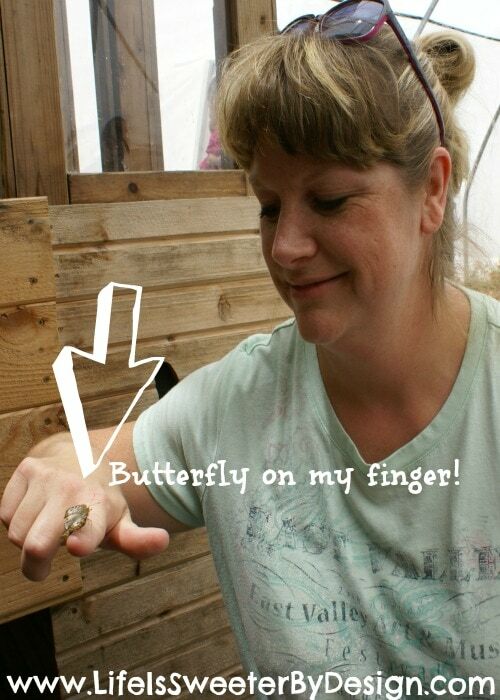 My mom had no trouble in this area…she was like the butterfly whisperer! I could post a zillion pictures of our day at Botania….but I won't bore you to death! If you live in the area you should definitely GO! Don't put it off for 20+ years like I did! I plan to go back at Christmas for their Christmas light display called Illuminations! I don't know about you…but I love to use coupons whenever I can! I found a deal on Recyclebank for Buy One Admission, Get One Free! If you haven't signed up for Recyclebank, you really should check it out! It is really easy to get points built up and they offer all kinds of rewards for your points. A lot of the rewards are for local activities and I love to pay less for family outings in our area! You will also learn a lot about environmental issues and how to be a little more environmentally friendly in your day-to-day life! Have you been to Botanica? I would love to hear about your visit or about your favorite Botanical garden in your area! 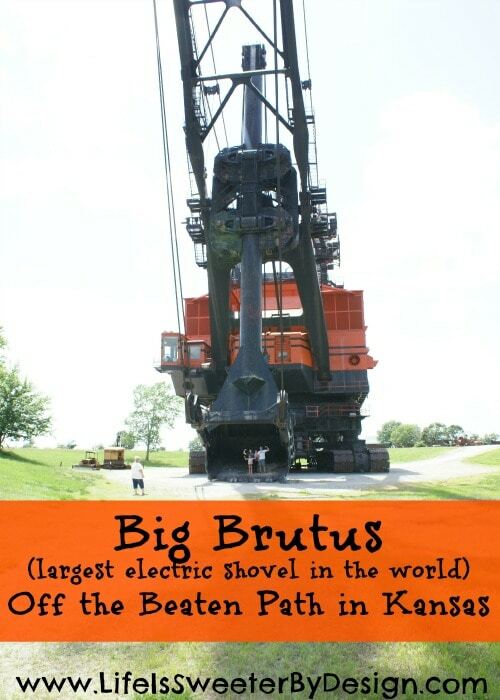 If you want to hear about another hidden Kansas treasure…be sure to read about our visit to Big Brutus!